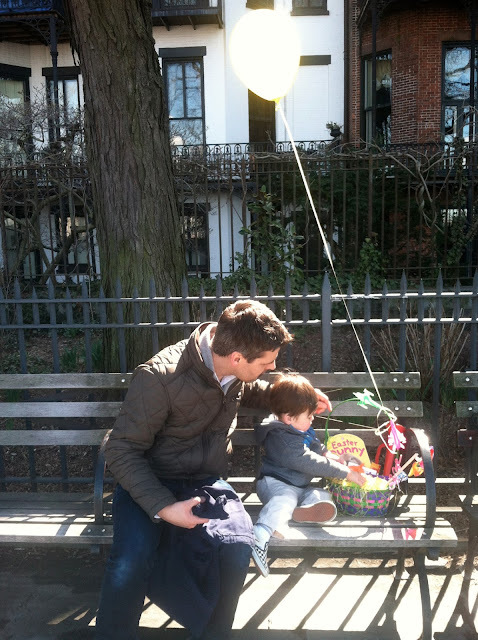 New York City Family: What Goes In An American Easter Basket? 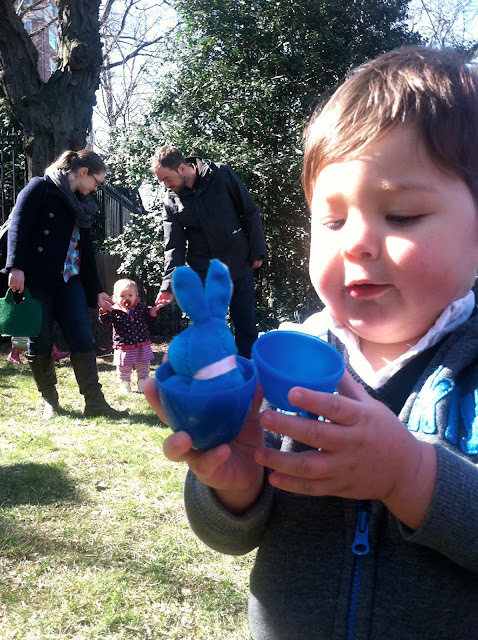 What Goes In An American Easter Basket? 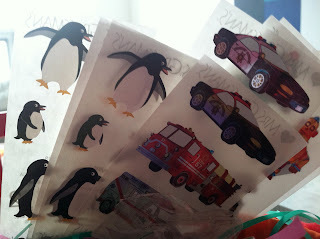 The past couple weeks, I've been checking out a lot of blogs written by American expats who live in France since we're visiting there soon. I noticed some posts like this one related to Easter in France, which interested me. 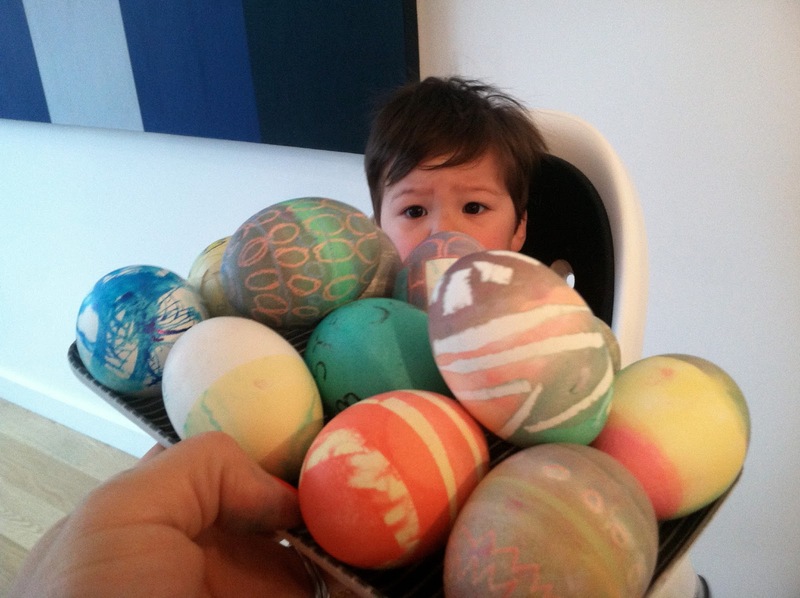 It's sort of fun to read how other people celebrate holidays like Easter around the world. 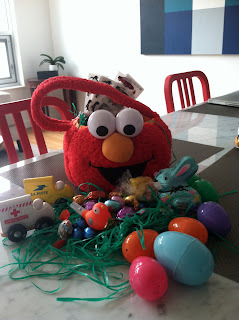 So, I thought I'd do a post on American Easter baskets, a cute tradition for kids. Really, anything that fits into a basket can be given in an Easter basket. 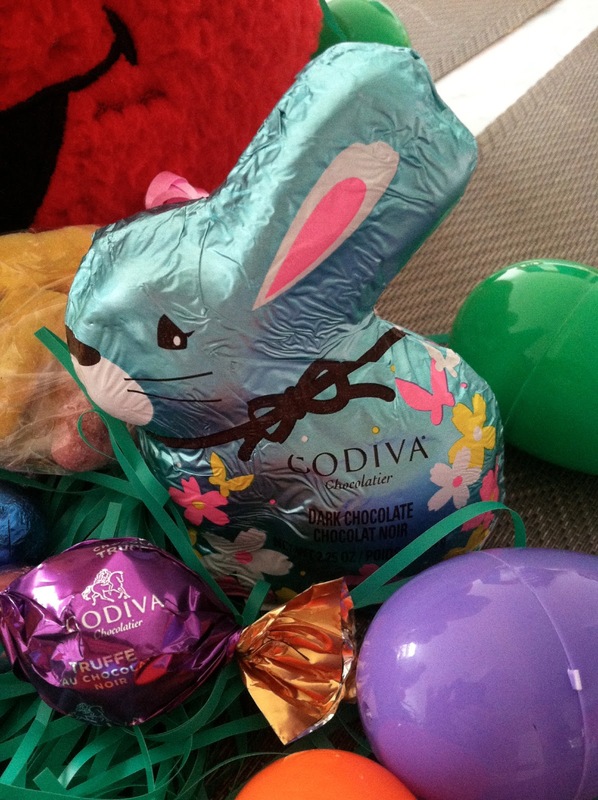 I guess the only common denominator among American Easter baskets is that there will be chocolate (unless you're us and you put no sugar added fruit leathers in your toddler's basket...boring, ha!) and there will be treats or toys in the shape of bunnies, eggs, and chicks. And usually the candies and eggs are in Easter colors, which are springy pastels or brights. 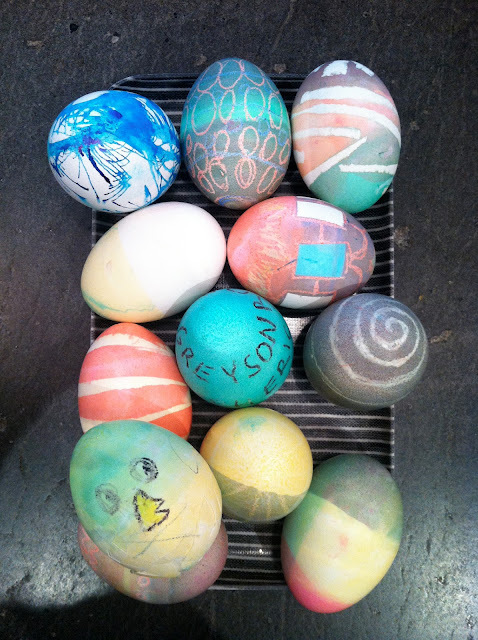 Even though people often dye eggs for Easter, I've never actually seen them in a basket. You'll usually see plastic eggs that people buy empty and fill with candy or little toys. You definitely don't see bacon or lit candles. My brother and future sister-in-law made the cutest basket for Greyson. The basket itself isn't even usually a basket anymore, especially for little kids. 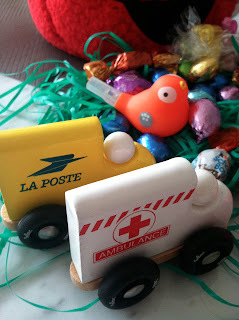 This one was an Elmo basket and was filled to the brim with a chocolate bunny, chocolate eggs, a toy ambulance, a toy mail truck, stickers and other cute sweets.